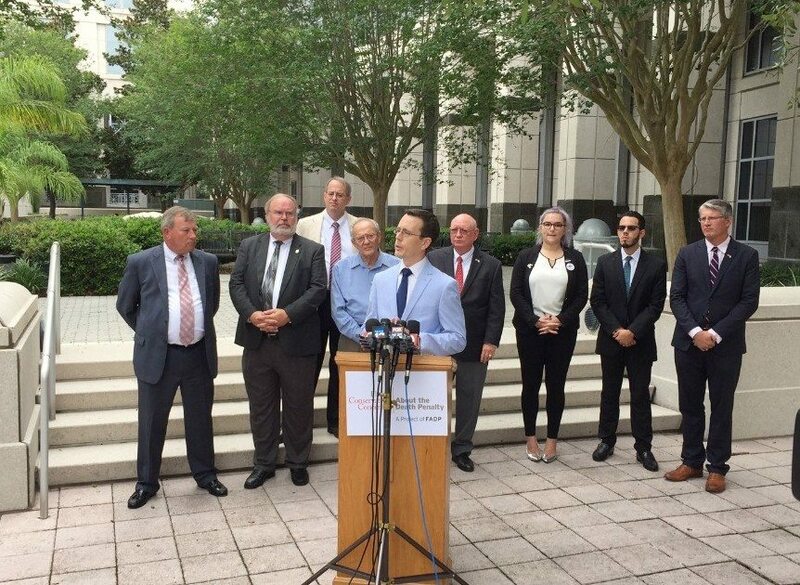 On June 14, 2017 at a news conference in front of the Orange County Courthouse, FADP, in partnership with Conservatives Concerned About the Death Penalty, announced the formation of a new project, Florida Conservatives Concerned About the Death Penalty, a network of conservatives questioning the alignment of capital punishment with their conservative principles. The formation of FCCADP comes at a crucial time. Since Florida’s death penalty has been ruled unconstitutional, hundreds of death row cases will soon return to Florida courts. These returning cases could overwhelm Florida courts and cost the state millions of dollars. Speakers at the press conference today called on Florida state attorneys to settle these cases and avoid the costly process of seeking death, and also called for the ultimate repeal of Florida’s death penalty. This unique partnership with Conservatives Concerned About the Death Penalty will help expand our reach of supporters in favor of death penalty abolition and amplify our campaign to finally end the death penalty in Florida.